Too often, teachers for the blind are faced with a problem: they need to assess their legally blind students to determine what services they need. However, the braille assessments that exist are cumbersome, biased, unreliable, or expensive. Fortunately, there is a solution that solves all of these issues. To demonstrate just how easy the tool is for a teacher of blind students to use, just look at how much time is required for each section of the braille assessment. 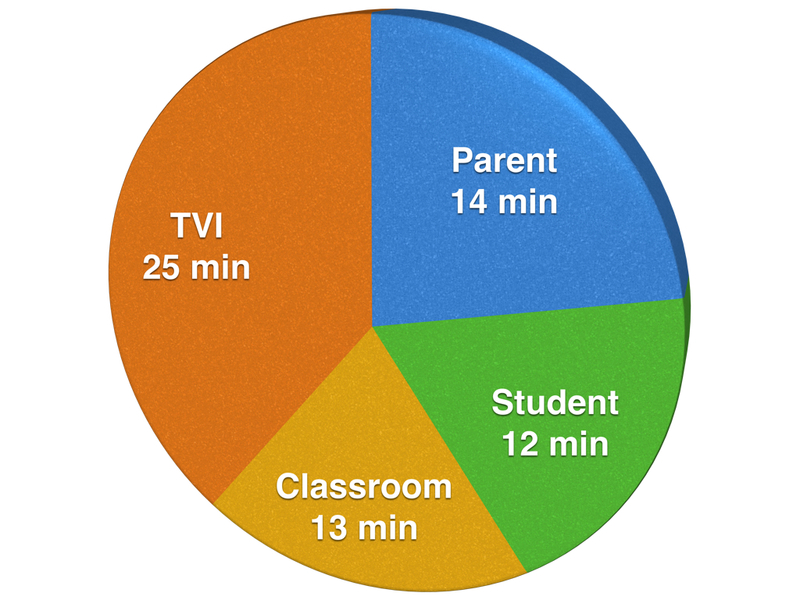 the TVI Assessment Questionnaire required 25 minutes. This means that the entire assessment took an average of one hour and four minutes to complete. When you’re ready to begin your next student’s assessment using this tool that has proven to be easy, standardized, and reliable, request your free account at www.nfbnrma.org. What has been your experience with other assessment tools? How long did the NRMA take you to complete?